opticsshop2018 has no other items for sale. The multi-coated optics of the Bushnell Trophy TRS-25 scope gives you a bright viewing experience even in low light conditions. 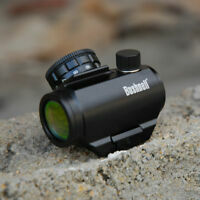 The Amber-bright lens coating of this Bushnell dot sight scope offers high contrast for vivid colors. The water, fog and shock proof construction of this Bushnell riflescope makes it very durable for all climates. The zoom dot functionality of the Bushnell Trophy TRS-25 scope lets you fine-tune the aiming point. For great viewing angle, this Bushnell dot sight scope has an unlimited eye-relief. The adjustment range of 70-inch at 100 yards of this Bushnell riflescope gets you a perfect view of the objects. I was very impressed with everything I read about this red dot sight and it didn't disappoint. 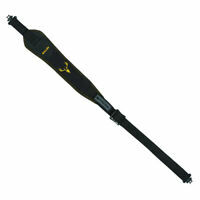 It is very accurate, light weight and easy to install and zero. The only reason I couldn't in all honesty give it a 5 was that the small size makes it very hard to find the dot quickly. 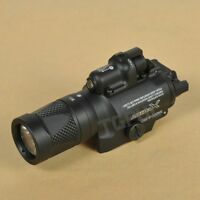 So, I would rate this sight excellent for target shooting where fast sight acquisition is not your goal but for hunting and self defense, maybe not so much. The dot is decent. My only issue is with the field of view. The dot is crisp and circular when you first look through it, but as you focus more the dot seems to get blurry and deformed. I don't know if it's my eyesight, or the way the glass and field of view is. This is just my opinion. Also, you will need the version with the riser if you plan to use it on any type of AR set up. I put mine on a Ruger 22lr Charger, and I had to spend extra money on a riser. Overall, a decent dot for the price, and so far the zero has held true after about 200 rounds. This is a great red dot for anything up close. Very simple design and easy to use. Get a medium riser for co-witness to flip-up sights. Wish it had a larger aperture, but both eyes open fixes it. The dot doesn't move much with your head position like an EOtech, so I like it better for that reason. Point of impact is pretty consistent. It is better than an HD7. 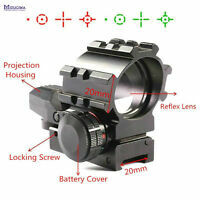 This red dot sight appears to be sturdy, well-built and compact - ideal for use on a rifle or large pistol. However, the unit I just received was defective. The turret kno,b which serves as the on/off switch and selects 11 brightness levels was so tight it was basically unusable. Even with gloves on, it was very difficult to turn. The more I tried turning it the tighter it seemed to get. So I returned this unit for a replacement. 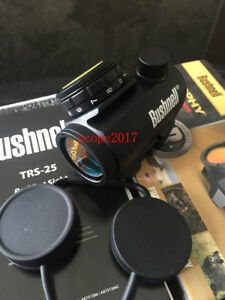 Note, I have another Bushnell TRS-25 which does not have this problem and which I considered a good product and a decent value. Also, although these sights have 11 brightness settings most of them are too dim for practical use, Even the top 3 settings are barely adequate for use outdoors in bright sun. I've purchased one of these previously and decided I wanted a second one. The power dial that turns it on and adjust the brightness on this one is stiffer then my previous purchase. Hopefully it will get loser with time. 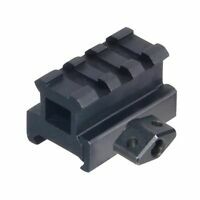 If I could change anything on this budget priced red dot I wish it had at least a 30 mm viewer instead of a 25 mm and a 2 MOA instead of a 3 MOA. Otherwise it's an excellent Red Dot for my needs. I'm sure other more expensive models are tougher and more durable but I'm not planning on taking it to the deserts of Afghanistan or kicking down doors with it. 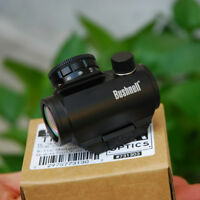 I have had excellent experience with Bushnell Scopes and the company before so I do recommend this as a great buy.